The Gleneagles Hotel and the soon-to-be renovated Trump Turnberry were among key Scottish venues taking part in 'Meet in Scotland' recently - a networking event and workshop organised by VisitScotland's Business Events team. Held at the Village Urban Resort in Glasgow, the annual showcase allowed key Scottish hotels and venues from Glasgow, Edinburgh, Perthshire, Aberdeen City & Shire, Ayrshire and the Highlands to meet face-to-face with 19 corporate event planners from across the UK & Ireland. Among the other Scottish businesses taking part were Blairquhan Castle (Ayrshire), The Scotch Whisky Experience (Edinburgh) and Glasgow Science Centre. 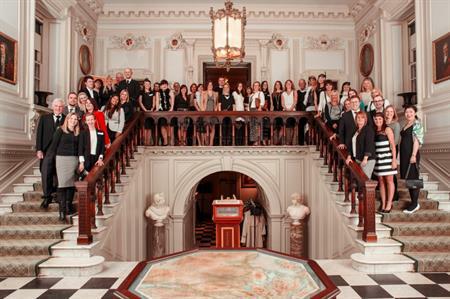 Corporate event planners also enjoyed a special networking evening at Glasgow’s Pollok House, held in conjunction with the National Trust for Scotland. The weekend of fam visits also included Blythswood Square (Glasgow), Cameron House (Loch Lomond), Ardoch (Loch Lomond) and Macdonald Crutherland House (East Kilbride). Amanda Ferguson, meeting and incentives marketing manager at VisitScotland, said: "Meet in Scotland is an invaluable tool for our business events industry, valued at nearly £2bln. Face-to-face meetings between suppliers and buyers can make all the difference between Scotland securing a lucrative business event and it being taken elsewhere".